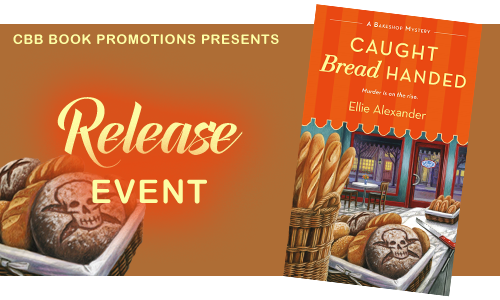 Welcome to the release event for Caught Bread Handed by Ellie Alexander! 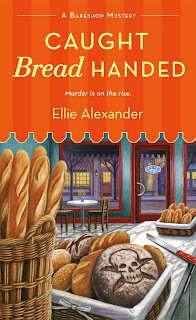 This is the fourth book in the Bakeshop Mystery series and releases June 28th by St. Martin's Press. You can buy it from your local bookshop or order a signed copy from the authors local bookshop. 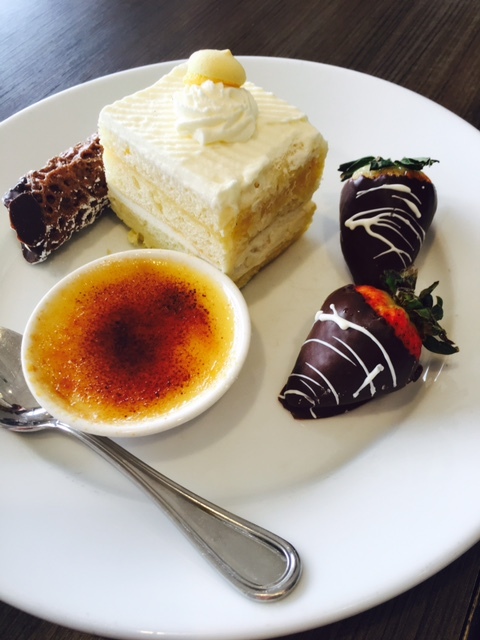 Welcome to Torte, where the bread is always served warm with a pat of hand-churned butter, and a side of love. Torte, the artisan family bakeshop in my culinary mystery series, is a gathering place for the community. 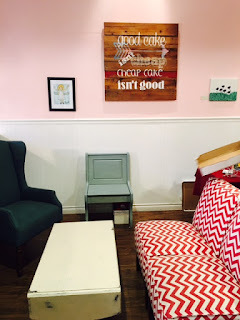 Locals and tourists stop in for fresh raspberry scones, slices of decadent double chocolate cake, and to talk about all the gossip and news around town. 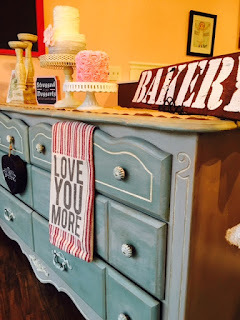 I love getting to create a comforting and welcoming bakeshop and writing about food. However, I’m not a trained pastry chef which means that I spend a lot of time visiting real bakeries and interviewing professional chefs. It’s a rough job, I know. I thought it would be fun to give you a taste (pun intended) of the research that goes into learning the inner workings of the culinary world. For starters I think about the actual space. 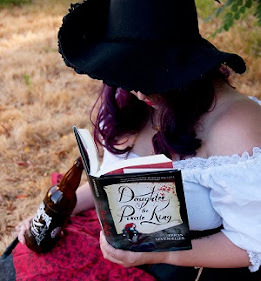 Because Torte is located in Ashland, Oregon, home of the world famous Oregon Shakespeare Festival, it has to have a touch of Shakespeare and whimsy. It’s painted cheery red and teal blue with corrugated metal siding, bistro tables, and a chalkboard menu. One of my bakery inspirations is a place called Cake Happy in Camas, Washington. It’s a family run shop with gorgeous window displays, a rustic elegant vibe, and plenty of cozy couches to curl up with a red velvet cupcake and steaming hot latte. 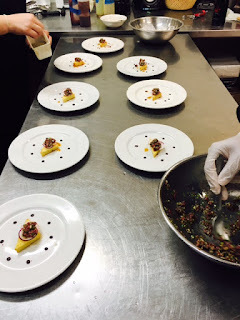 Another thing that I do when I’m working on a book is interview pastry chefs. 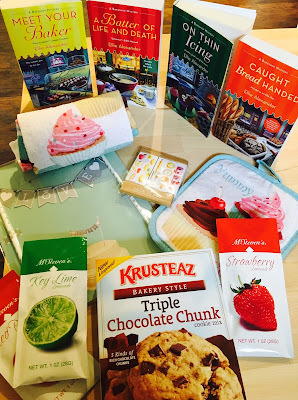 I’ve learned so many tricks of the trade, quick tips for baking, and even gotten a few new ideas on how to bump someone off in a bakeshop from chatting with chefs. I’ve been so impressed to watch how they orchestrate a blur of staff, a frenzy of chopping knives, and plate after plate of styled food. 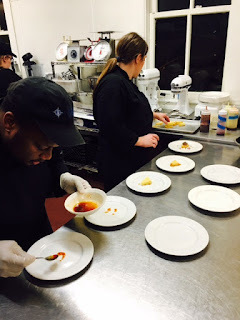 One of the most amazing experiences that I’ve had behind the scenes in a professional kitchen was at the NW Culinary Institute where I spent an evening watching chefs-in-training at work as they prepared a six course meal that almost too pretty to eat and tasted even better. Speaking of taste, I can’t even begin to count how many pastries and baked goods I’ve sampled in the last few years. Don’t get me wrong I’m not complaining, but my waistline might be in trouble. Whenever I travel I ask for recommendations on the best places to score a sweet eat in town. 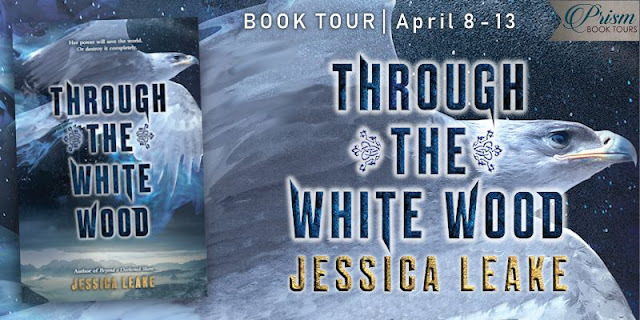 I’ve never been disappointed in my search and I try to find unusual flavor combinations and exotic delicacies when I’m exploring a new place, some of which have even found their way into the pages of the books. One standout tasting memory was at the dessert buffet in Lake Coeur d’Alene, Idaho. 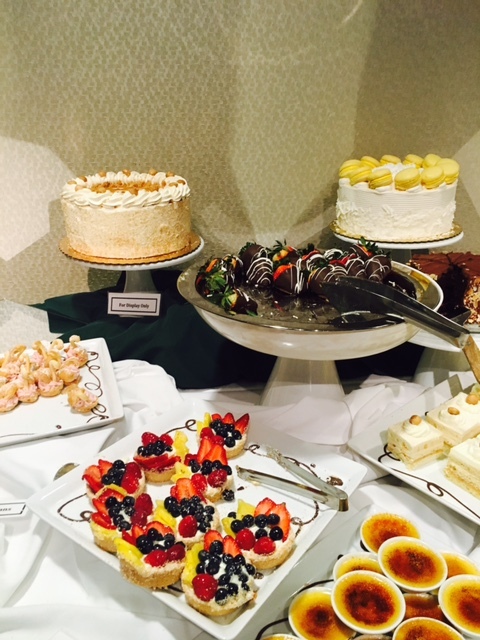 I still dream of the miles of cakes, macaroons, chocolate dipped strawberries, and petit fours. Yum! Lastly, one of the most rewarding and humbling things about writing the series has been connecting with local bakers. They have welcomed me into their kitchens, championed the books, and created stunning masterpieces like this cakescape from the book release party for the third book in the series, On Thin Icing. My local pastry muse is Kristina with Tier Catering who treated the audience to a hands-on icing demonstration and a tutorial on the best way to cut a cake. Seriously, I think I have the best job ever! 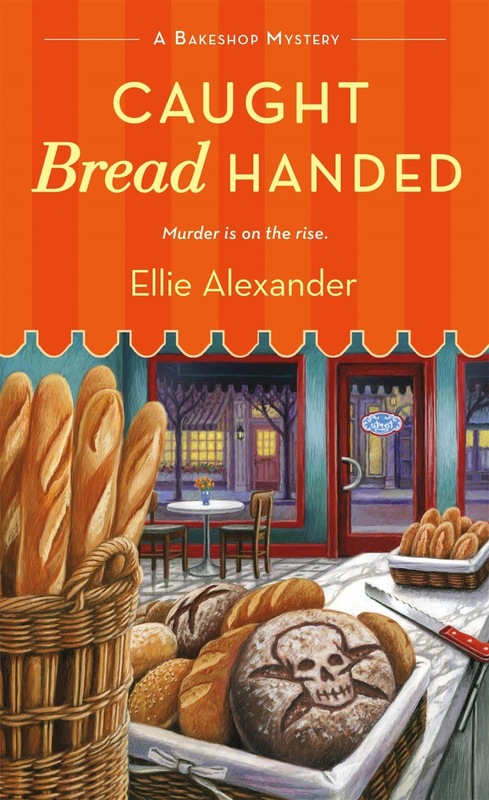 Here’s to all the bakers—whether in your home kitchen or in a 5-star restaurant—I hope you enjoy my fictional bakeshop in Caught Bread Handed. Jules Capshaw is still chewing over her husband Carlos’s return to Ashland, Oregon. Could there be too many cooks in the kitchen? Whatever is stirring between those two will have to wait. Despite the Oregon Shakespeare Festival being dark for the winter, the bakeshop is bustling, the dough is rolling, and there’s no rest for the weary… especially when murder is thrown into the mix. Signed copies of all 4 books in the Bakeshop Mysteries, Cupcake tea towel and pot holder, Love cake topper, Bakeshop page flags, Assortment of gourmet lemonade and Triple Chocolate Chunk cookie mix. Must be 13 or older to enter and have parental permission if under 18. Void where prohibited by law. No purchase necessary to win.